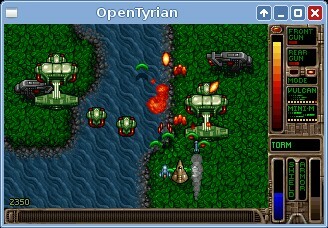 OpenTyrian is a port of the DOS shoot-em-up Tyrian. Tyrian is an arcade-style vertical scrolling shooter. The story is set in 20,031 where you play as Trent Hawkins, a skilled fighter-pilot employed to fight Microsol and save the galaxy.